I'd be happy with my nose stuck in the glass. Such a pretty wine to inhale. Baked berries, dried red flowers, plums and meaty spices make up a choir of interest to engage. A grin from ear to ear adorns my dial every time I see these Singlefile wines come through the door. The quality and consistency across the range is more than credible. 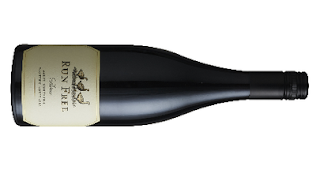 Medium bodied, this Shiraz skips through the mouth at an even tempo. A minerality looms up and sticks. Dark berry fruit funneling the pleasure to a finish littered with brown spices. A pleaser in more ways than one.